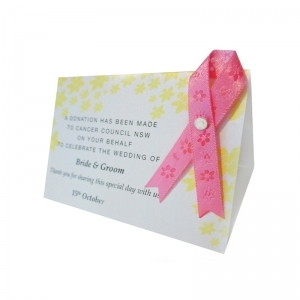 For a unique way to thank your wedding guests, give them a more meaningful gift than traditional wedding favours. 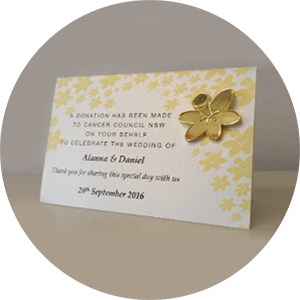 Purchase and personalise Cancer Council favour cards with your choice of pin. Your wedding is one of the biggest events in your life. 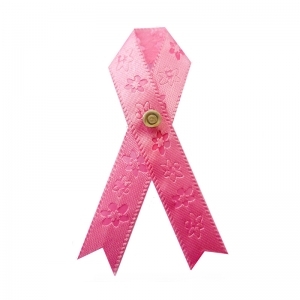 Why not use it to help save someone else’s? 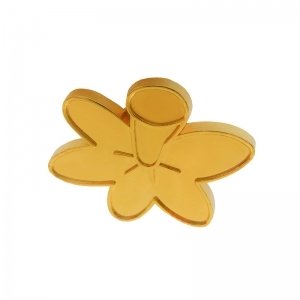 Honour a loved one or celebrate survival by buying pins for your guests. 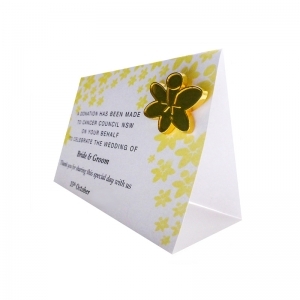 We have a range of wedding favour pins, which you can attach to place cards with a personalised message. 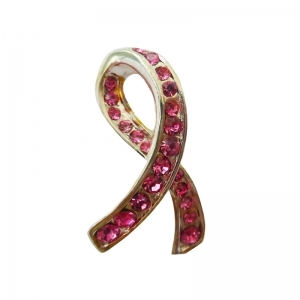 The proceeds of every pin you buy will help free the future from cancer. Please note this service is currently only available in NSW. 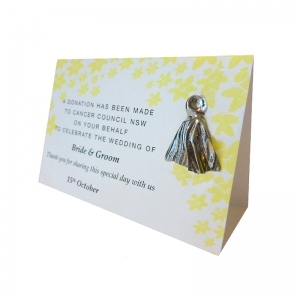 If you are in WA please click here to purchase your wedding favours. For those living in SA please click here. For all other states please contact your local office. Designs may vary depending on availability. Designs may vary depending on availablity. 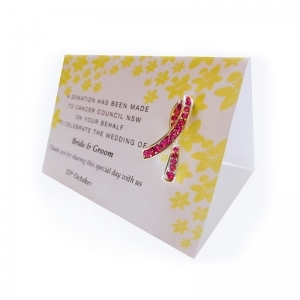 Personalise your cards with a short message to your guests! 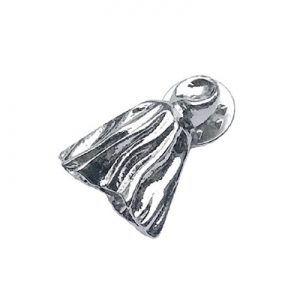 "When Matt and I were organising our wedding, we wanted bonbonnieres that meant something, rather than trinkets our guests would just throw away. My grandmother passed away from cancer only a few years before, so it was a nice way of including her in our big day. We had an intimate wedding and donated $200 on behalf of our guests. 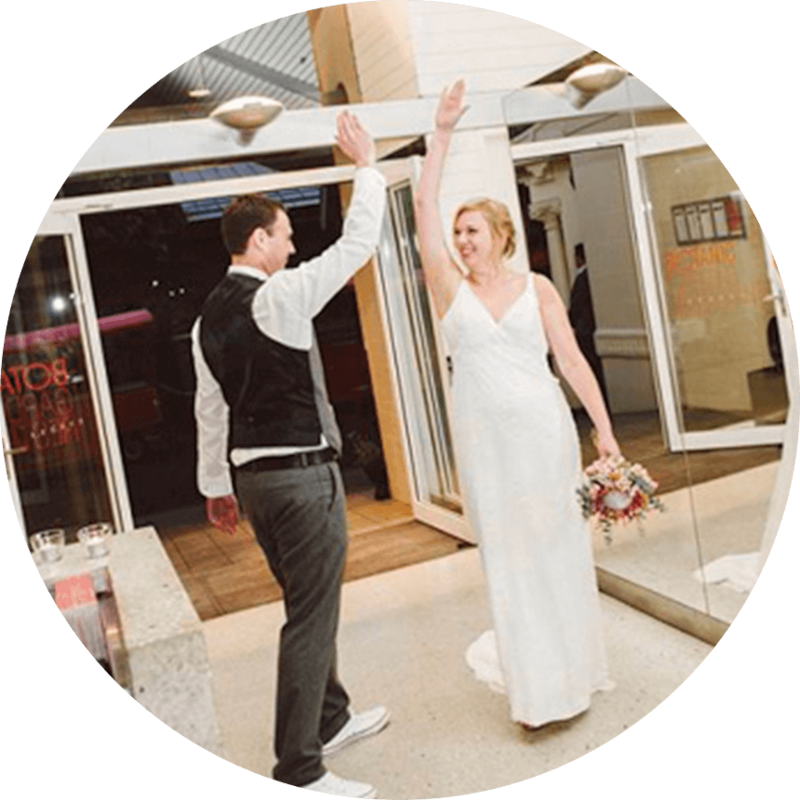 It’s a nice feeling knowing that others have benefited from our wonderful day."